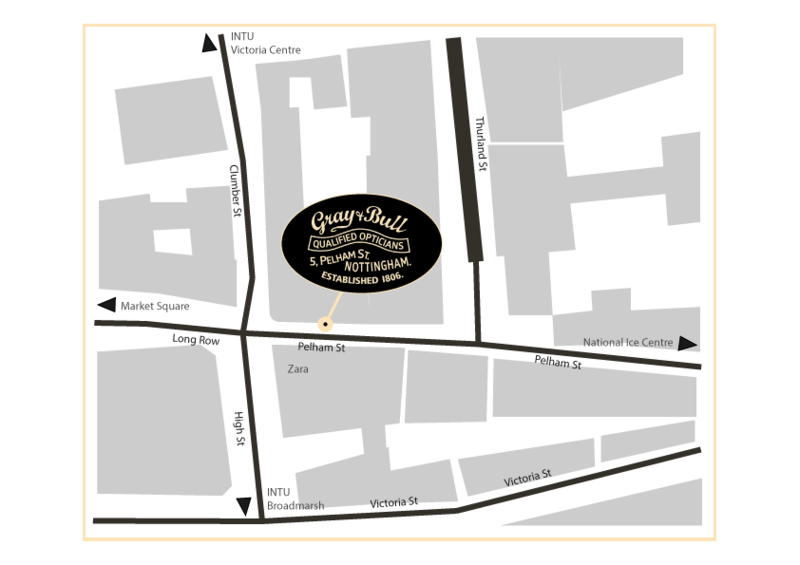 Exclusive in Nottingham to Gray & Bull. Anne et Valentin has sophisticated French styling. Hand made from acetate and metal. Barton Perreira is a classic range designed in Los Angeles and suitable for everyone. They are designed by the original designer of Oliver Peoples. Pure luxury handmade frames, made with Japanese Zyl acetate and titanium. 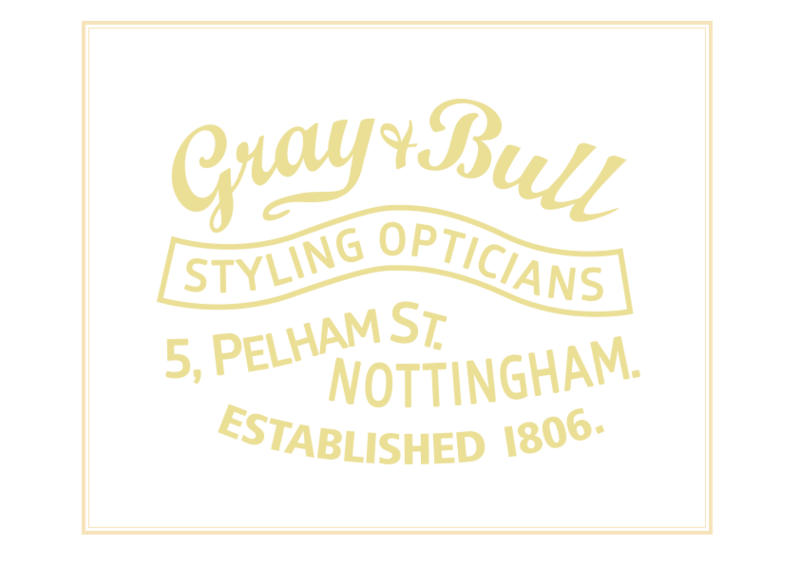 Nottingham's authorised Dita dealer. From innovating ultra-thin acetates in the DITA-FEATHERLIGHT collection, to their stainless-steel metal core lamination technique found in DITA-LAMINATE, or the character frames defined within the DITA-SERIES collection, the list of DITA's innovations in eyewear is unrivaled, offering a vision for the future as memorable as its past. Garrett Leight California Optical (GLCO) is based on California style and culture. Handmade from the finest acetates and metals. Named after and designed by the son of the founder of Oliver Peoples (Larry Leight). Our frames are handmade and finished with the finest materials and processes by the best eyewear makers in the world. Jacques Marie Mage is a limited edition, handmade range. Design centred luxury eyewear from Hollywood, California. Made from the very best Japanese Zyl acetate and precious metals. Individuality is an inalienable right, an idea that demands its own unique expressions. Our mission at J.M.M. is to empower people to make personalized impressions, by offering spectacles that are unparalleled in their commitment to craft and creativity. Maui Jim is an American-based manufacturer of sunglasses based in Peoria, Illinois and marketed worldwide. A majority of their lines are marketed with an oceanic and Hawaiian theme-stemming from their foundation and location in Hawaii. In addition to their non-prescription sports and fashion sunglasses, Maui Jim currently produces prescription lenses for their designs, including progressive lenses. Maui Jim hosts its own prescription lab in Peoria, IL. Maui Jim was originally launched on the hotel pool decks of Maui, Hawaii. The brand was introduced in the mainland states in 1988. Maui Jim originally had its main distribution center in Lahaina, Hawaii, but moved to Peoria after buying RLI Vision in December 1996. Maui Jim maintains an office and store front in Lahaina that is open during week days to the public for repairs. In 1999, Forbes Magazine listed Maui Jim in their '100 Things Worth Every Penny' article. In 2015 and 2016, Maui Jim was selected as the Best Sunglass Company in Vision Monday and 20/20 magazine's EyeVote Reader's Choice awards. Maui Jim lenses block 100% of all harmful UV rays and 99.9% of glare. The lens technology uses seven treatments to offer maximum protection and clarity. The two most outermost layers are a waterproof and oleo phobic coating. The oleophobic coating repels grease, making the inside and outside of the lens water and oil proof. The lens also has anti reflective treatment, which prevents against bounce back glare, or UV light that is reflected off of the back of the lens. The next layers consist of a Clearshell scratch resistant treatment surrounding two layers color enhancing lens. The centermost layer is a polarizing film, which makes it possible to see below the surface of the water. Maui Jim has three gradient coatings: The Bi-Gradient, the MauiGradient, and Blue Hawaii, The Bi-Gradient lens provides a dual gradient that protects the eyes from light coming from above, and light reflection from below. This technology "squints for you" because it eliminates glare surrounding all aspects of the eye. The MauiGradient lens appears darker at the top and lighter at the bottom. Blue Hawaii is the most recent addition to their mirror coatings. It features a blue flash mirror lens over a Neutral Grey lens base. Maui Jim features four lens colors: Neutral Grey, Maui Rose, HCL Bronze, and Maui HT. The Neutral Grey is the darkest of the Maui Jim lenses. It is meant to be worn in bright, direct sunlight, and provides the most sun protection. The Maui Rose is the second darkest of the lenses. It is best for fast action sports, and can be worn in any sunlight from bright to overcast. Similar to the Maui Rose, the HCL Bronze can be worn in practically any form of sunlight. As the third darkest lens, the HCL Bronze is good for driving and enhances colors. The lightest of the lenses, the Maui HT, offers the greatest contrast for a brighter view. This green lens is best for golf and baseball, where it is essential that the color of the ball pop. Maui Jim offers five different lens materials: MauiBrilliant, SuperThin Glass, MauiPure, Polycarbonate, and Maui Evolution. MauiBrilliant features optics nearly as clear as glass with just one-third of the weight. SuperThin Glass provides the best optics out of the five lenses. While it is the heaviest out of the five materials, the SuperThin Glass is 20% lighter than standard glass. The MauiPure is the most light weight out of the five. It combines the optics of the SuperThin Glass with the shatter and scratch resistance of the Polycarbonate lens. The Polycarbonate lens features the most shatter resistance, making it great for activities. The Maui Evolution lens features the shatter and scratch resistance of the MauiPure, but with better optic quality. Maui Jim's target demographic for sunglasses markets to those who value a good quality of life and the utmost eye protection. Their classic styles and high-tech lens give their sunglasses a sort of "functional elegance" that makes them desirable and fashionable. In a highly competitive market with competitors like Oakley, Inc. and Ray-Ban, Maui Jim's mission to set itself apart is to educate consumers on the dangers of UV rays. Short term sun exposure can lead to sunburned eyes or snow-blindness. Maui Jim has tried to break the common link between sunglasses and summer since snow reflects almost 80% of UV rays. The UV intensity rises 3% for every 400 meter increase in altitude. MOSCOT designs iconic and timeless eyewear from New York. Their frames have an urban feel to them. MOSCOT is a family run brand with over 100 years of expertise. MOSCOT infuses its unmistakably refined, downtown aesthetic with over 100 years of eyewear expertise and unparalleled craftsmanship to create its timeless eyewear. A collaboration between father and son, Larry and Garrett Leight, Mr. Leight bridges multiple generations of design and craftsmanship to deliver superlative contemporary eyewear. Together, they are committed to creating uncommonly thoughtful, beautiful, and original designs that combine the classic and the new and reflect the spectrum of their immense eyewear knowledge and expertise. Mr. Leight represents a perfect union of Larry Leight’s decades-long history working with the finest eyewear craftsmen in the world as the Founder and Creative Director of Oliver Peoples, and Garrett Leight’s entrepreneurial spirit and uncompromising contemporary vision in his own endeavor, Garrett Leight California Optical. For both Larry and Garrett, creating impeccable, iconic eyewear is a truly lifelong pursuit. Mykita is handmade in Berlin, Germany. The metal range is lightweight, strong and flexible as they are constucted from surgical steel with no screws. Mykita Mylon is handmade in Berlin, Germany. The Mylon range is 3D printed, so the frames are leightweight and very durable. Ray-Ban were founded in 1937 to provide sunglasses for the US Air Force. From James Dean to Audrey Hepburn to Michael Jackson, Ray-Ban has proven indispensible for cultural icons who don’t want to be seen - but definitely want to be noticed. 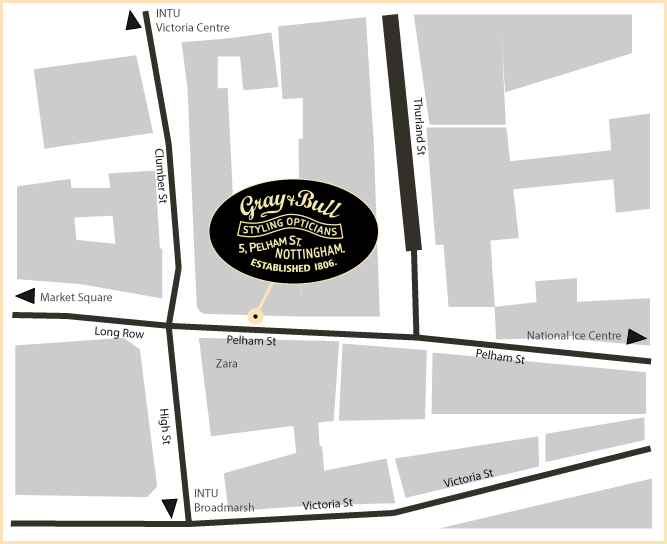 Exclusive in Nottingham City Centre to Gray & Bull. Taking cues from the iconic eras of film, architecture, music, and art, as well as from the people and places that make California such a unique destination, SALT. strives to create products that capture the casual elegance of California’s aspirational lifestyle. Savile Row has been tailor made in England since 1898. Timeless classics made from precious metals. Specialising in round metals. Maintaining the finest old traditions while adding new techniques and technologies gives us the best of both worlds. Savile Row is eyewear from the past for lovers of old and new alike. Theo is a Belgian brand and has a distinctive look utilising colour, shape and texture to produce handmade eyewear like no other. No two Vinylize frames are the same. Handmade from vinyl and finest acetate. Today, all Vinylize frames are handmade by our skilled craftsmen.